Huawei Y6 Pro With 4000 mAh Battery Now In PH, Available At MyLifestyle Plan 599! Home / huawei / mobile / news / Huawei Y6 Pro With 4000 mAh Battery Now In PH, Available At MyLifestyle Plan 599! First announced last February of 2016, Huawei's Y6 Pro is now in the Philippines. According to Allphones, the said device is now exclusively available thru Globe's myLifestyle Plan 599. 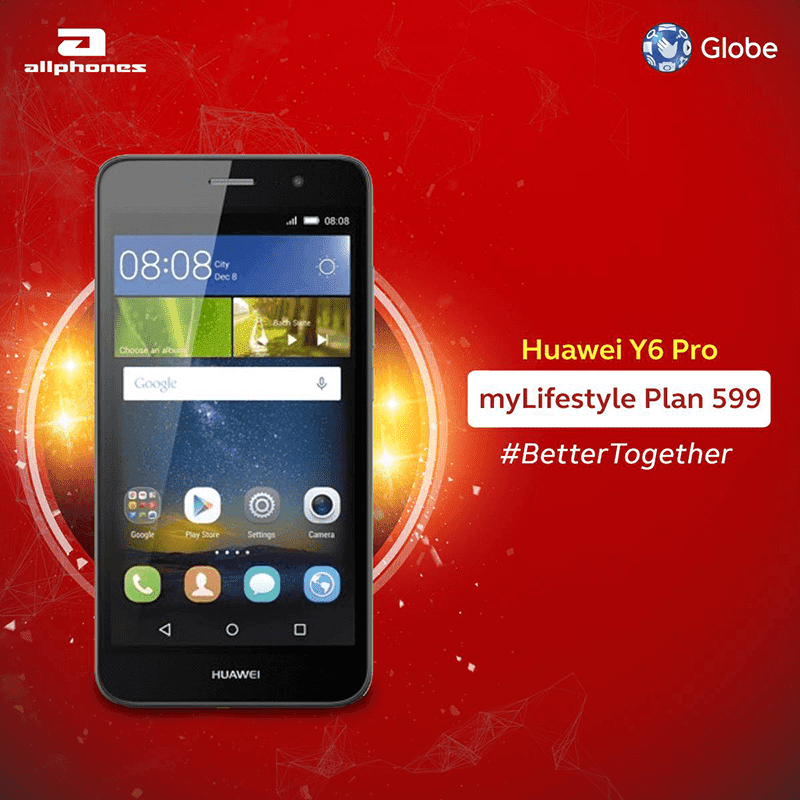 Huawei Y6 Pro available at myLifestyle Plan 599! To refresh our minds, the Y6 Pro is a beautifully crafted metal framed handset that boast a distinctive textured design made with 5176 water ripple elements. That enables users to experience better ergonomics and durability. Plus it is more than just that, this phone also goes with decent configurations such as its 5 inch HD IPS screen, 1.3 GHz MT6582 quad core processor paired with Mali 400, 2 GB RAM, 16 GB of expandable ROM and large 4,000 mAh of battery capacity. It also has a capable 13 MP main camera w/ LED flash, 5 MP selfie camera, connectivity and runs with Android 5.1 Lollipop OS w/ EMUI 3.1 skin on top. Given that type of setup, this latest offering by Huawei appears to be a good daily driver for those who want an affordable yet good performing phone with good style and long battery life. There will be a standard 24 month Globe lock-in period unless you enroll to a no lock-up plan. Kindly contract Globe for more additional details.